VALU-BEAM: Convergent. Focal Point: 38 mm; Input: 10-250V ac / 12-115V dc. Output: Built-in 6-digit totalizing counter. 2 m (6.5 ft) cable. VALU-BEAM: Glass Fiber Optic. Range: depends on fiber; Input:10-250Vac-12-115Vdc. Output: Built-in 6-digit totalizing counter. 2 m (6.5 ft) cable. VALU-BEAM: Plastic Fiber Optic. Range: depends on fiber; Input:10-250Vac-12-115Vdc. Output: Built-in 6-digit totalizing counter. 2 m (6.5 ft) cable. 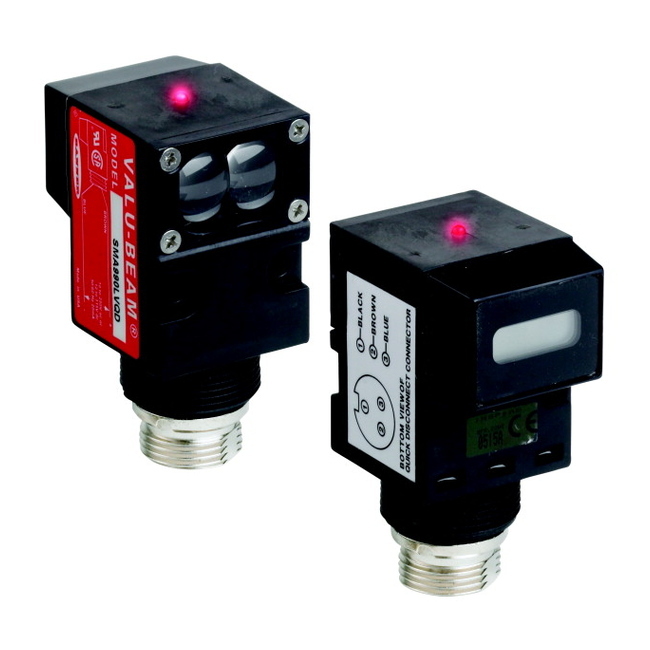 VALU-BEAM: Infrared 940 nm Retro. Range: 9 m; Input: 10-250V ac / 12-115V dc. Output: Built-in 6-digit totalizing counter. 2 m (6.5 ft) cable. 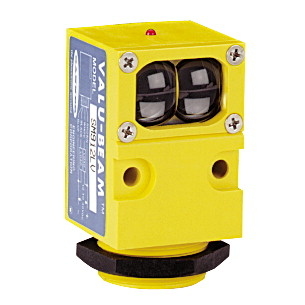 VALU-BEAM: Visible Red 650 nm Retro. Range: 0.15 – 9 m; Input: 10-250V ac / 12-115V dc. Output: Built-in 6-digit totalizing counter. 2 m (6.5 ft) cable. VALU-BEAM: Receiver. Range: 60 m; Input: 10-250V ac / 12-115V dc. Output: Built-in 6-digit totalizing counter. 2 m (6.5 ft) cable. VALU-BEAM: Receiver. Range: 3 m; Input: 10-250V ac / 12-115V dc. Output: Built-in 6-digit totalizing counter. 2 m (6.5 ft) cable.